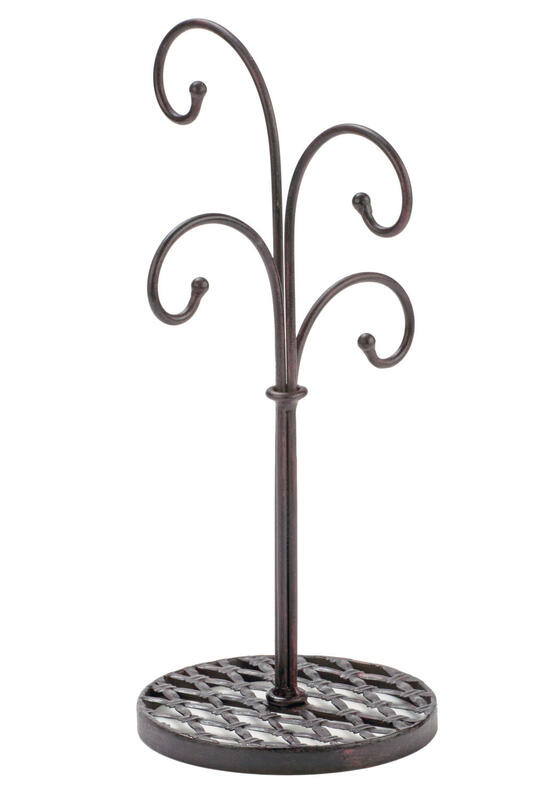 Display your favorite mugs while keeping countertops clutter free with the simple and sturdy 4-Arm Mug Stand. Made of metal with a mahogany painted finish, this piece is 16" tall and accentuates any space! The lightweight piece features 4 arms that swirl inward to hold glassware in place. This piece is not only great for in-store displays but resale as well.